Any Caliber. Any Length. Any Finish. That about covers it. Small Arms Manufacturing can supply any barrel, to any degree of finish—from simple blanks to finished barrels—drilled, reamed, rifled and chambered. 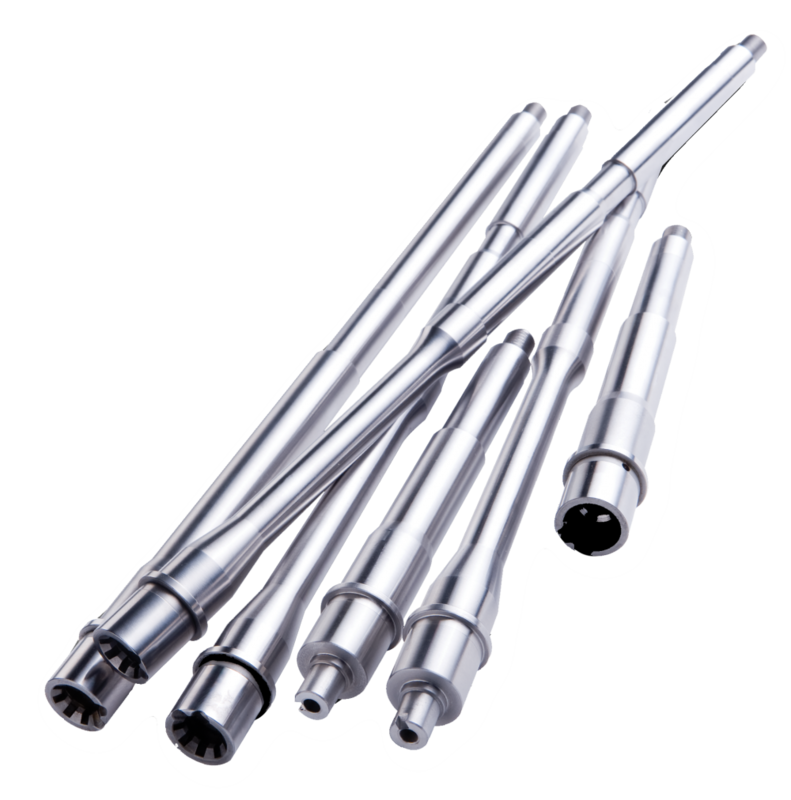 We utilize only gun-barrel-certified 4140 chrome moly and 416R stainless steel. We cover every caliber from .17 to 12-gauge, up to a length of 41 inches. We currently produce more than 2,700 configurations, including rimfire, centerfire, shotgun and black powder—all button-rifled.